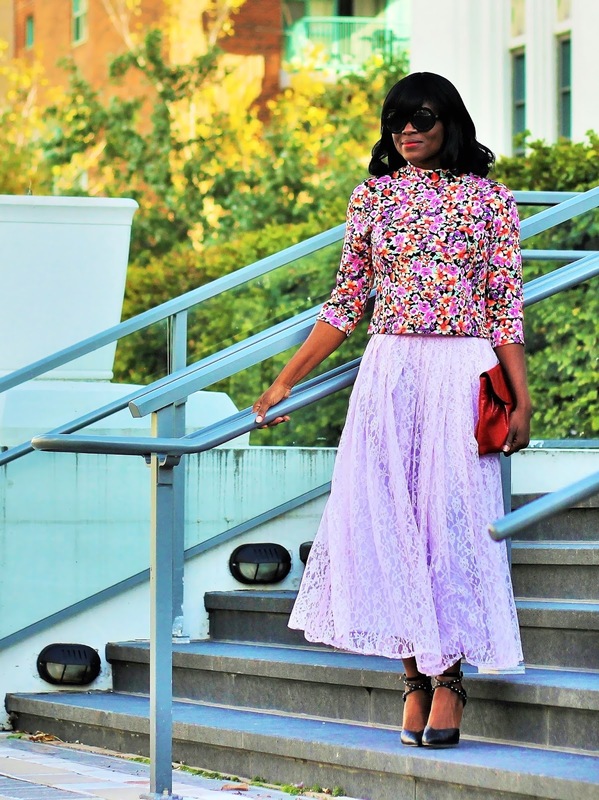 I have never worn a full lace skirt like this, especially one in lilac. Needless to say, i fell for its beauty instantly. I knew immediately, this would be perfect. 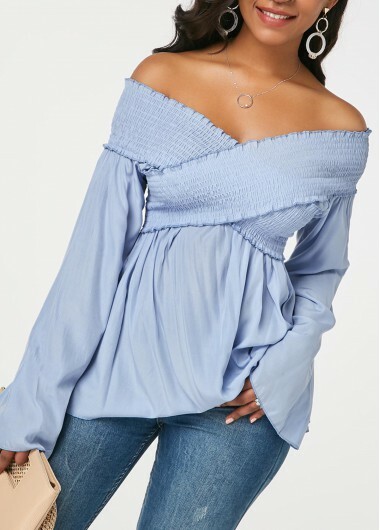 Little secret- This top is actually designed to be a fitted crop top, but i wasn't trying to do all that on a cold day. 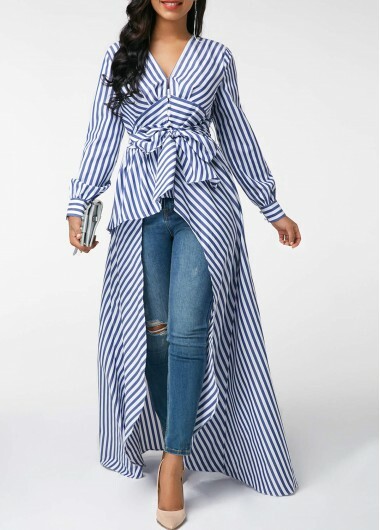 Instead of getting it in my size which is a small size, i got it in a large and simply wore it like a regular top with this skirt. Being a fashion week rookie, i knew the chances of someone else wearing the same exact skirt or outfit in the same color as mine was low. But then again, it is a fashion show after all, and just like any event, there is a slight panic my doppelganger may just show up wearing the same exact outfit too. So i had to be more creative and original. Hope it worked. As a rookie you dressed much better than some veterans I saw at MFW! I love that sweater, I want it too! :)) You are so sweet and so kind. Thank you so much. aw, that is such a cute outfit! love the skirt! No way you a rookie you look like a pro and this outfit proof it love the flare of the skirt perfect with the print of the top fits you elegant. This outfit is great! Love this incredible skirt in mix with this top! Its pattern is so gorgeous! you look fantastic with this outfit, so chic and romantic. I love that skirt. You look beautiful lady! Such a beautiful look, I'm loving that skirt!!! Thank you Jen. You are awesome! Hahaha, thank you Jackie. So do i, especially since it is lace too. I agree, the skirt is gorgeous. Thanks you so much. I love the sweetness of this confectionery skirt. You look divine! Wow.... the coolest skirt ever!!!! great look ! love your clutch! Darling there is just one thing missing, the red carpet. Busola you look glam. Totally love the outfit. Your top and heels are just perfect! So cute! I LOVE the skirt. Just adorable. You definitely look creative is so pretty! I love how fun this look is. What an adorable look babe! 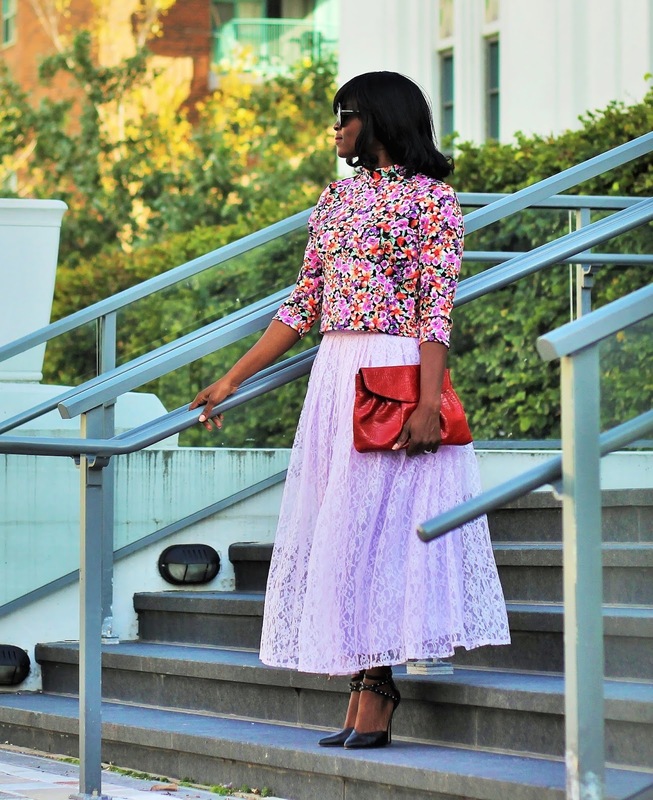 Love the floral top paired with the lace skirt. Gorgeous and sweet. Oh dear, your blog is quite amazing! What a look! This skirt is simply amazing! I totally love it! And the heels *_* God! Gimme themmmm!!! You are no rookie, the whole look is just too perfect! I just voted for you and you are totally going to rock in that magazine!! 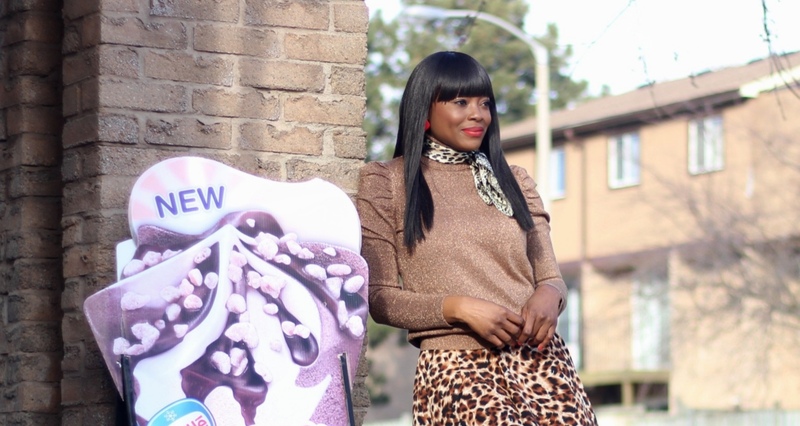 Love your skirt Busola. Beautiful lace and it's pleated! thanks a lot for what you have wrote about me, you know why I like you so much? because you always smile, it's your best outfit! I think you have this covered and your outfit is unique and stylish.I see you are leading in the votes. . . .Kudos my Sista! Such a great skirt.. Gorgeous! 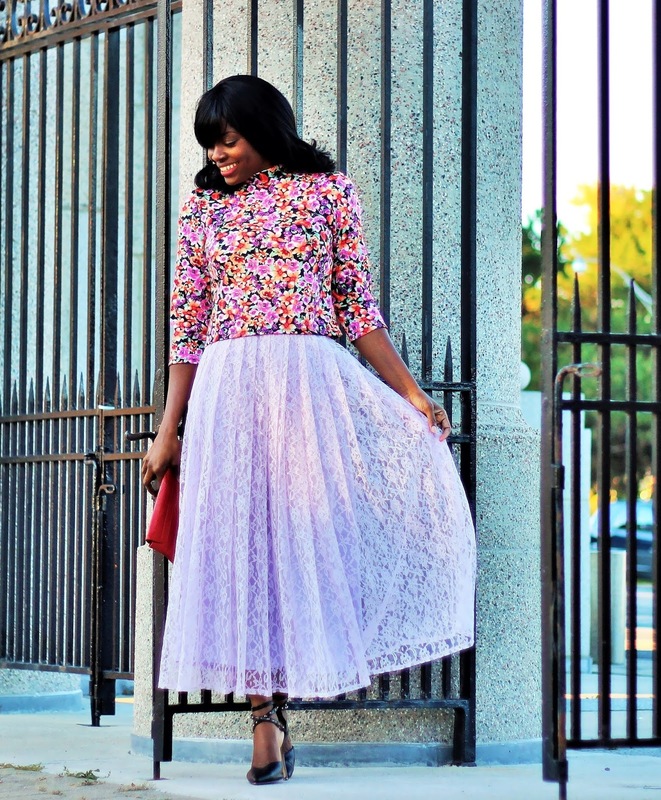 Love the lace Skirt mixed with floral print top.. Great look! !http://houseofivey.wordpress.com/ check out my new post on Layer?layer! Lace and print? It looks amaze!! Marvelous skirt! & Those shoes are stunning! I love the risk you take. Great style and fashion. FYI: Last week for a chance to win a pair of sunglasses for yourself and a friend. 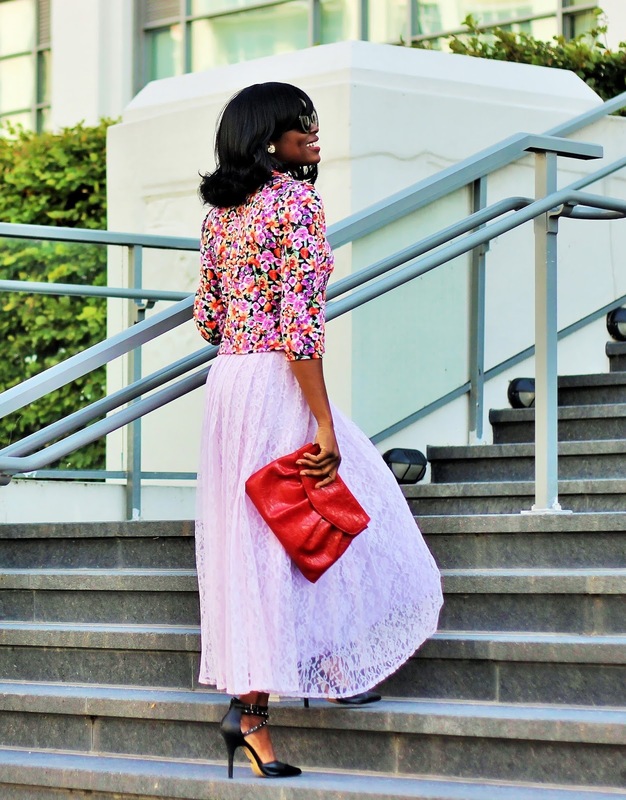 Gorgeous lace skirt, and a perfect length. 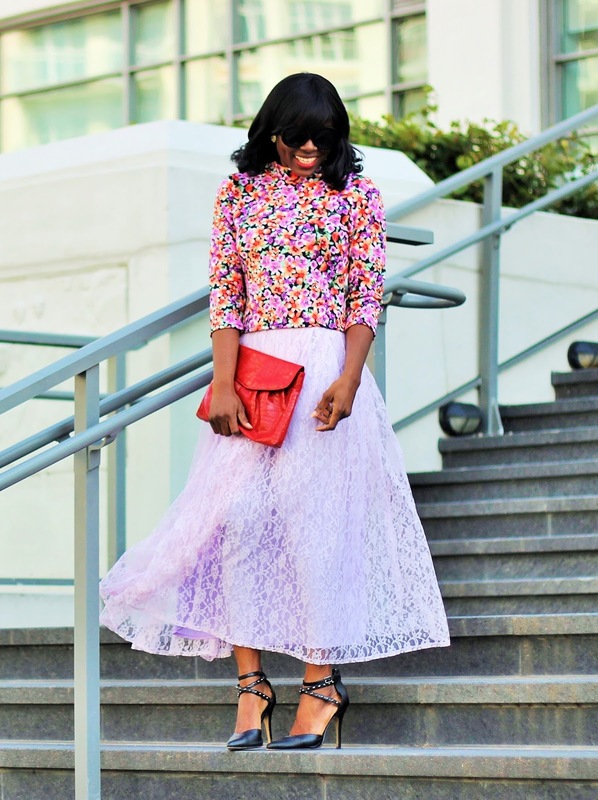 The floral on top is icing on the cake and the bold shoes are perfect to add some edge. Rookie..right! ?